Non-fiction. This genre has many sub-genres in which it is categorized further. Non-fiction books are not a result of the writer’s creativity, and are instead based on real life facts. The main focus of books of this genre is to provide people with healthy information rather than to provide them entertainment. 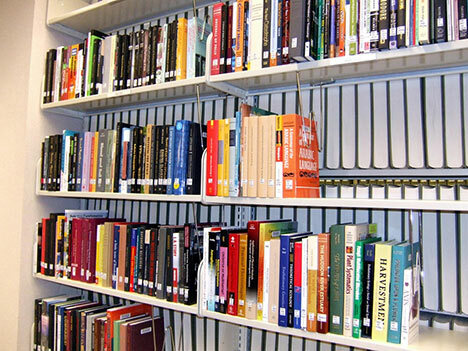 This genre may include reference books such as almanacs, bio/autobiographies, encyclopedias, how-to books, science reference books, history reference books and other associated literature. Science Fiction. The basis of this genre is science and innovation. This genre surpasses the boundaries of science and represents it in new ways that are imaginable but not yet possible. Fantasy. The books in this genre have a magical or supernatural element in them. The characters, the stories, are all based on magical non-existent things. Myths, fairytales fables all belong to this genre. Realistic Fiction. Books of this genre are based on people, places, and situations are derived from reality. But the plot of the book is still not real. Romance. Romance is the most important sub genre of fiction. The story is of one or more persons falling in love. Various moods can be inflicted through this genre. There may be books on romantic comedy, or even on tragic romance. Horror. These have an objective of scaring the reader. Many factors like monsters, aliens, ghosts, spirits, criminals, villains, etc may cause the element of horror in people. Action. This is based on situations that involve activity. There are vivid graphical descriptions of the various motions happening in the story. The purpose is to send an adrenaline rush in the reader’s body to make him feel the movements. Comedy. Comedy enables the reader to laugh and be entertained. It can either be a plot, or simply a collection of jokes or phrases. Many books fall in this category like parody, slapstick, practical jokes, repartee, witty jokes, sarcasm, etc. Tragedy. This induces a feeling of sadness and loneliness in the reader’s mind. Unlucky mishaps, unfortunate characters, or deplorable situations can make the reader somber. Mystery. These books are meant to create curiosity in the reader’s mind. It is supposed to cause the reader to analyze himself as the main plot unfolds itself gradually. This list of genres is a never-ending one, as many differentiated categories exist for books. The major genres are fiction and non-fiction and the sub genres are uncountable. One book may belong to more than one genre. Usually, a book is placed in a genre that is the most dominant in the plot.